It was a great day for fishing today on the Mary B III. 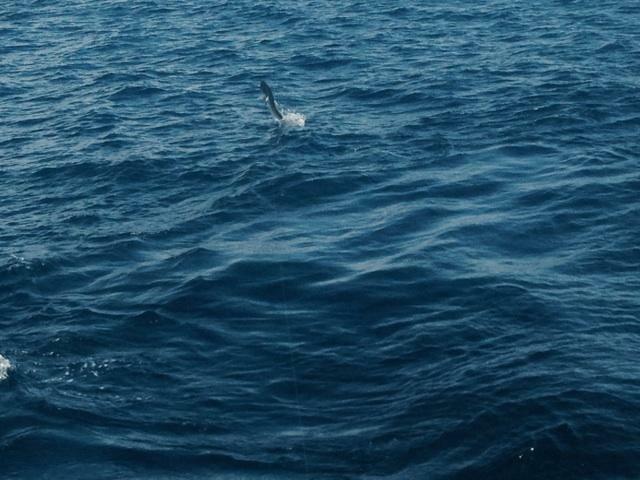 The dolphin were snapping in 350-400ft of water today, just a mile and a half off the Fort Lauderdale beach. The morning trip was good, but the afternoon was even better. We started the morning drifting on the reef, picking up a few snappers and some other assorted bottom critters (grunts, triggers, porgies). A few boats just outside of us were catching some scattered mahi-mahi, so we decided to go give that a try. We went out to 350ft of water and set up on a drift. We ended up catching 8 mahi-mahi and one lucky angler caught about a 15 pound wahoo, the pool winning fish. On the afternoon trip, we went directly out to 400ft of water to start the trip. We picked at some mahi-mahi catching a few. Trolling is the best way to cover some territory and find more fish. There weren’t many people on the afternoon trip, so we decided to pick up the baits and try some trolling. It was a great call by the captain to do this because we started catching fish instantly. The dolphin were all over the place but scattered. Every few minutes we hooked into one or two. We hit one nice school with about 12 fish in it, where every person on the boat had a dolphin on the line at the same time. One angler had a monster 25 pounder on the line, but ultimately broke him off. That would have been the biggest one of the day. The afternoon catch ended up being 32 keeper dolphin, I don’t know how many releases and a few assorted bottom fish that we caught drifting over the reef during the last 1/2 hour of the trip. There’s some great dolphin action just offshore Fort Lauderdale beach right now. Last November, we had some incredible dolphin fishing action. It looks like this year is starting to get rolling too. 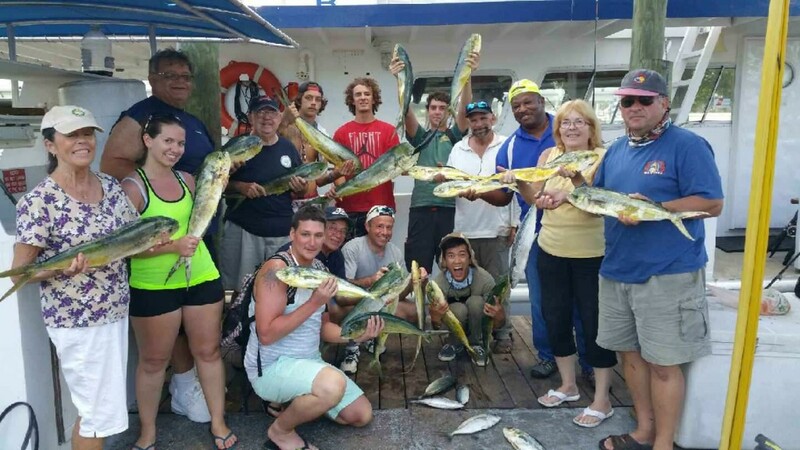 This is a great time to come out on a drift fishing trip in Fort Lauderdale. Let’s go fishing! The one that got away- pic of the 25 pounder we busted off. Picture doesn't do the fish justice. There’s some great action on the Fort Lauderdale reefs this month. 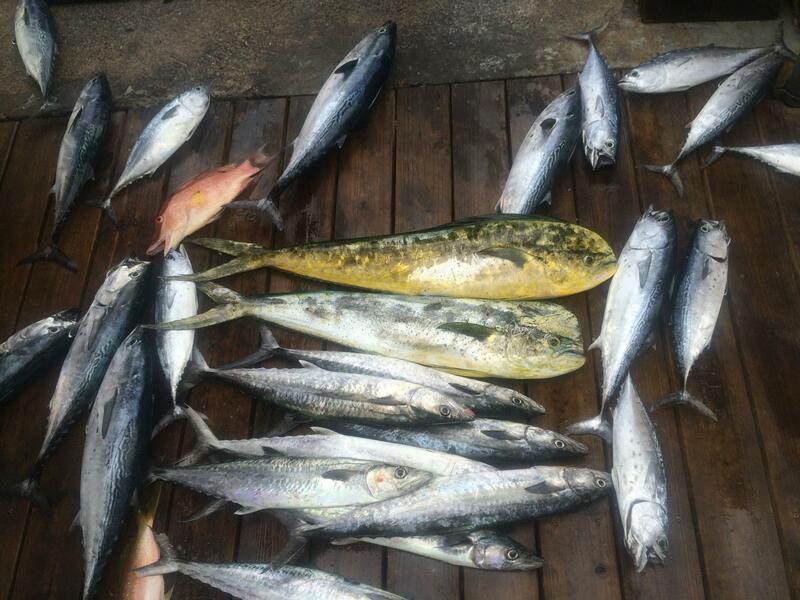 The kingfish and bonitos are biting great and are providing non-stop action when trolling the reefs. Mahi-mahi are also out there in abundance and while it does take some time to find them, they are out there to be found. Snapper fishing on the bottom continues to be productive this month. All in all, there’s great action fishing the reefs and offshore waters of Fort Lauderdale. Big muttons are biting this month on the bottom. Our drift boat, the Catch My Drift, is catching a lot of them on the afternoon and night trips. Morning has been okay, but afternoon and night fishing has been unquestionably better. 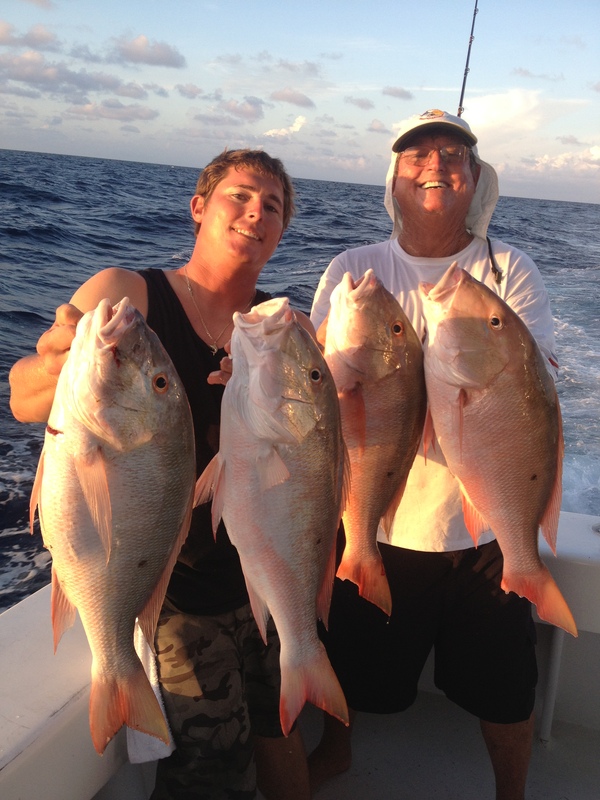 Mutton snappers are biting ballyhoo, sardines and cigar minnows. When you are mutton fishing, there are a lot of other bottom fish you can catch too. Groupers are biting excellent this year and this is a great month to catch them. Reds, blacks, gags, scamps and other types of groupers are biting on the 60-80ft reefs and on the deeper shipwrecks in 200-300ft of water. 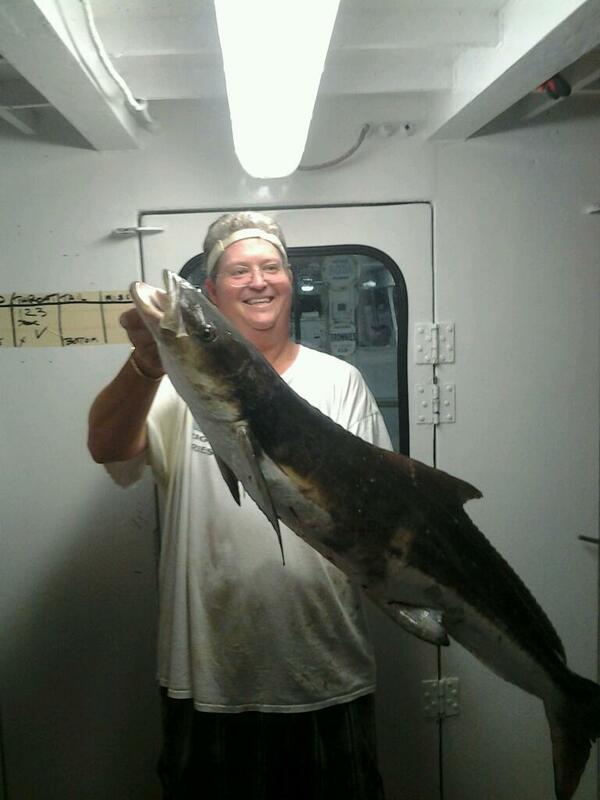 Cobia follow the mullet run and are biting as well. You never know what you might pull off the bottom this time of year. Lastly, wahoos are biting better this year than I have ever seen them bite. Maybe we’re just getting better at catching them, but lots and lots of big wahoos have been hitting the docks over the past few weeks. 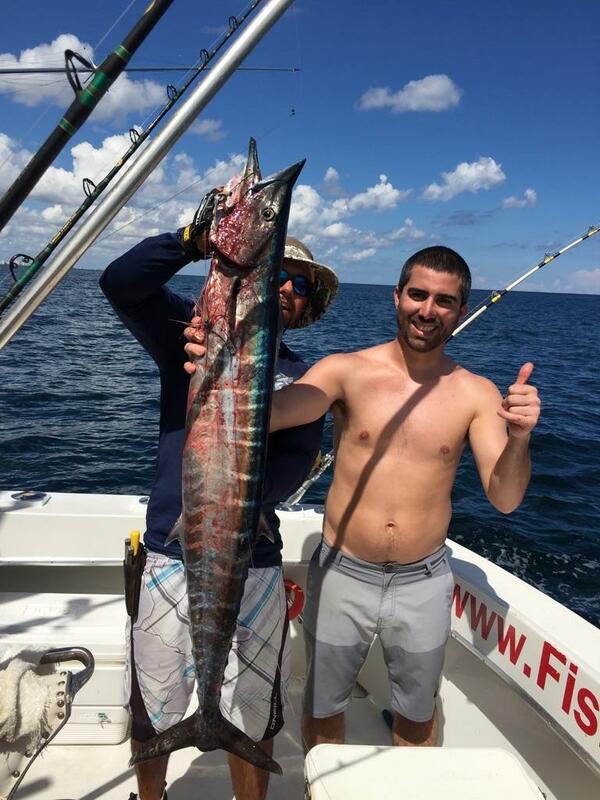 Wahoo are the fastest fish in the ocean and traditionally like a fast trolled lure. We have been high speed trolling whenever we move from spot to spot and also on the way back to the inlet at the end of the trip. Doing this, we’ve caught a lot of big wahoos that we wouldn’t have caught otherwise. As my dad always told me, you have to travel that distance to get where you are going anyway, may as well throw a bait out. You might get lucky and make the day. Can’t catch a fish if you don’t throw out a line. Good luck fishing this week everyone, the fish are snappin’!!! !